All four seasons across the country are warming due to climate change. 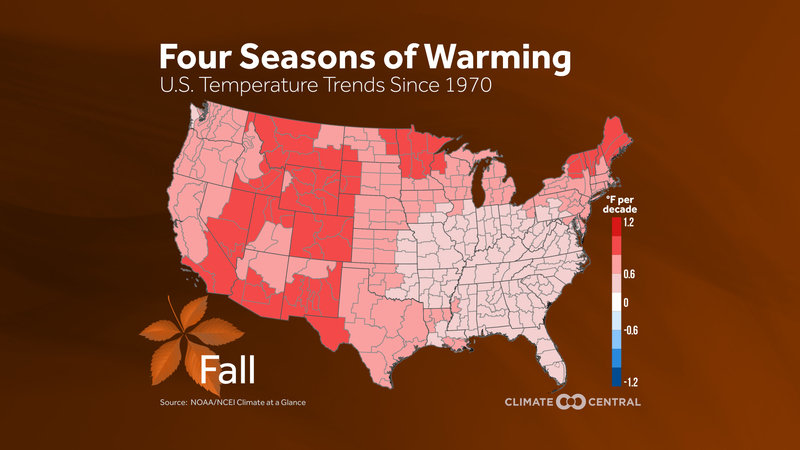 The U.S. has been warming during all four seasons due to climate change. 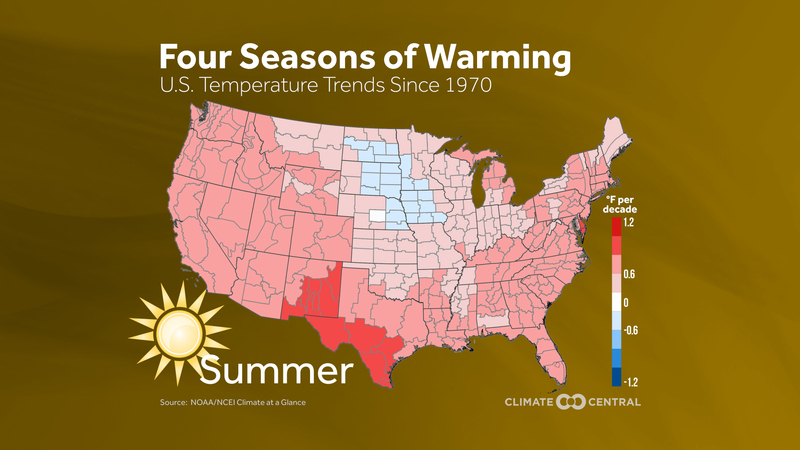 In this graphics series, we examine where the warming is the greatest during each season. In general, cool locations heat up more easily than warm locations. Not surprisingly, winter is the season in which all climate divisions in the U.S. have shown significant warming, with the greatest warming in the Upper Great Lakes. 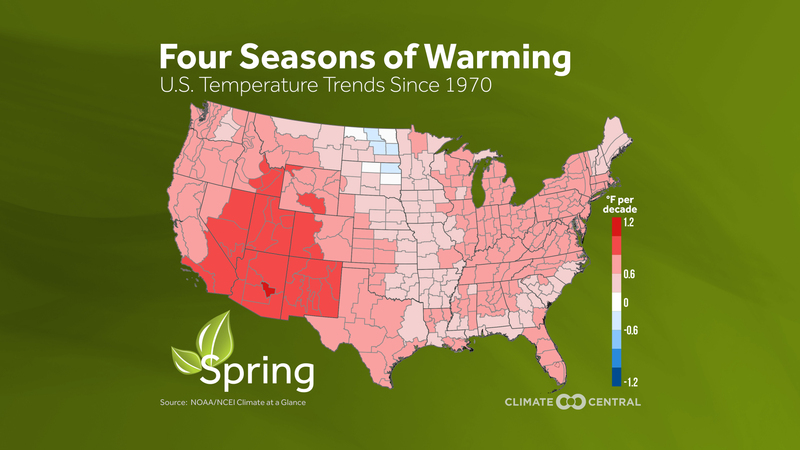 Spring and summer have similar warming patterns, although the extent of U.S. warming is greater in spring versus summer. Meanwhile, the fall warming pattern is strong in all areas of the country, except for the Southeast. 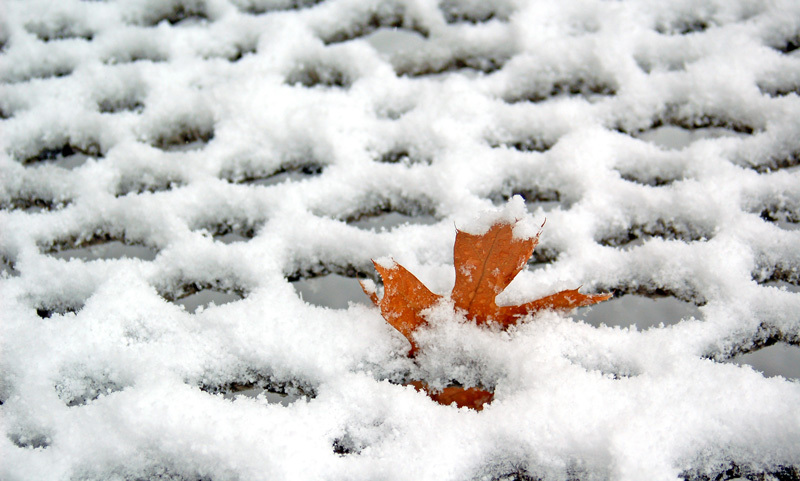 Warming during each season has differing impacts. The warmer winter stresses reservoirs that depend on melting snowpack later in the calendar year. Spring and fall warming is lengthening the growing season. While that may sound good initially, this disrupts the timing between established plant and animal behaviors, leaving food crops without necessary pollinators. Plus, it can support an extended ragweed and allergy season and lead to more aggressive poison ivy. Hotter summers also mean more heat related illness, like heat exhaustion, and of course higher cooling bills. 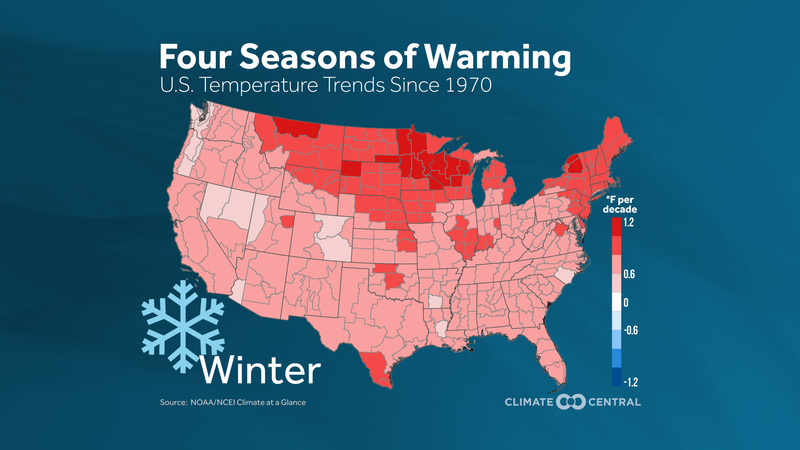 Winter is the fastest-warming season for most of the United States, but all four seasons show considerable warming trends due to climate change. Each season of warming has its own effects on the economy and the environment. 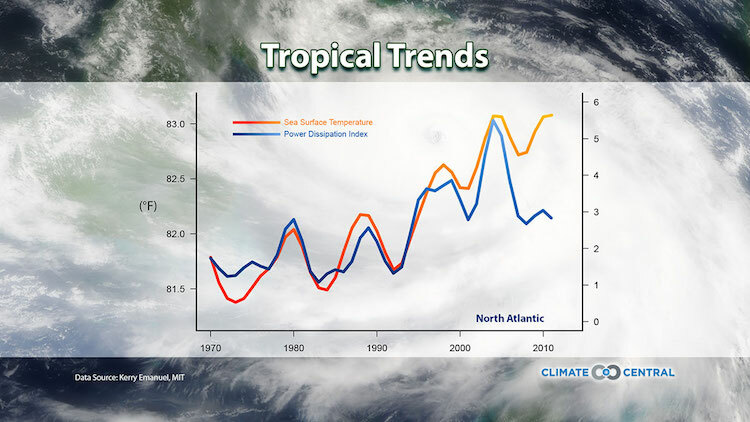 In this week's Climate Matters, meteorologist Sean Sublette takes an in-depth look at each season's trend. 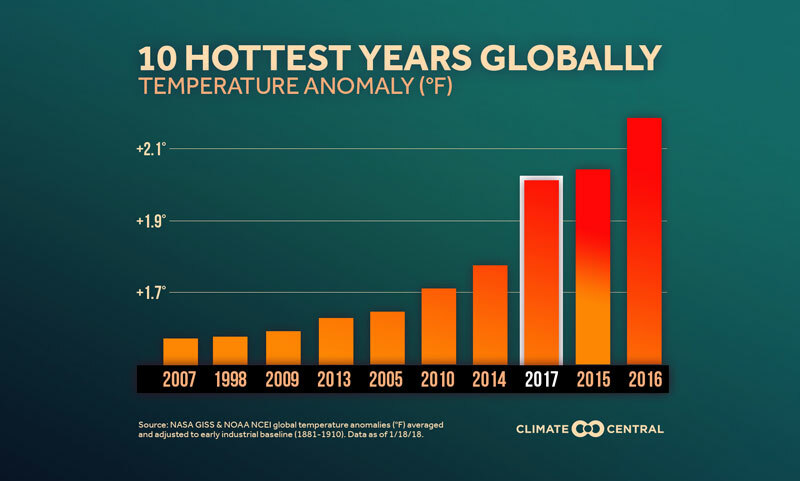 A changing climate means a warming season — all four of them. But is one heating up faster than the others? 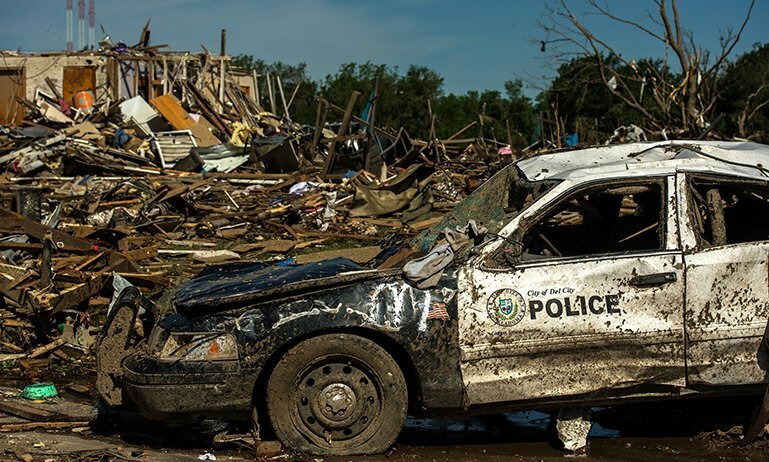 Chief meteorologist Bernadette Woods Placky has the answer in today's Climate Matters. 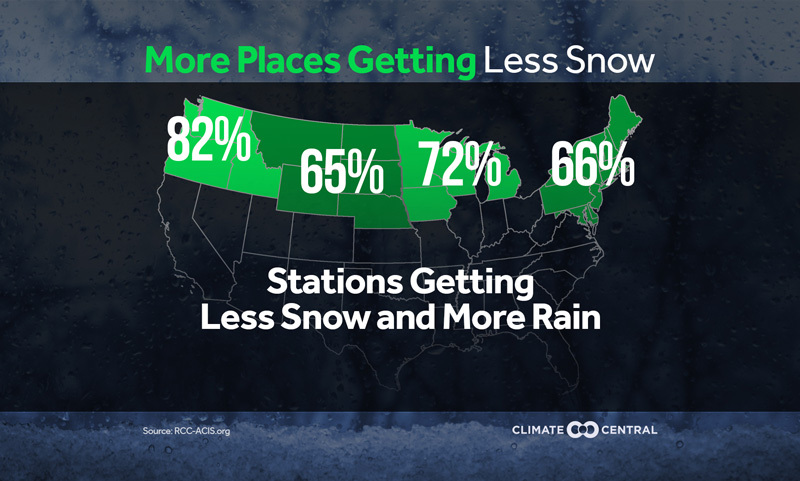 Winters Are Becoming More Rainy Across the U.S.